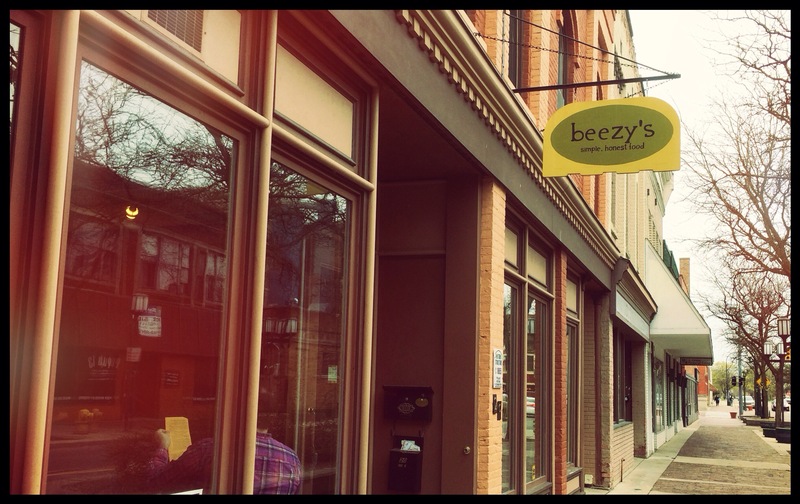 Snapshot: Beezy’s Cafe in Ypsilanti | Clover Eats! 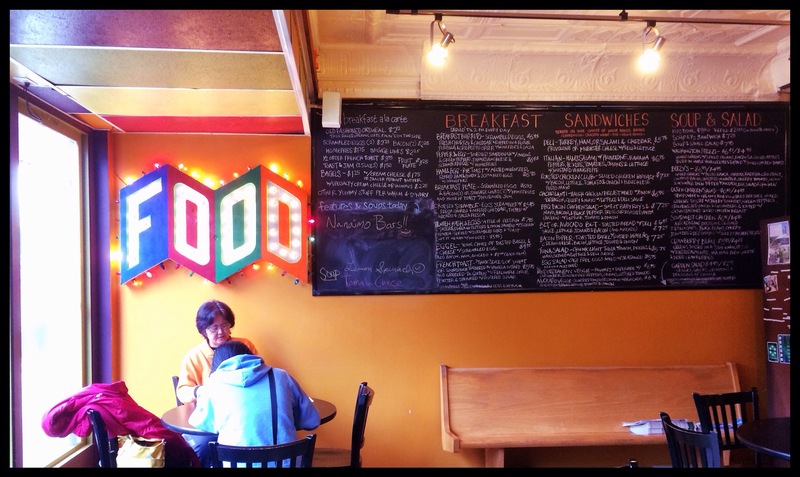 It was a rainy day when I walked into the bright and cheerful Beezy’s. The chalkboard menu seemed to be very vegetarian-friendly, although I didn’t personally try any of those dishes. 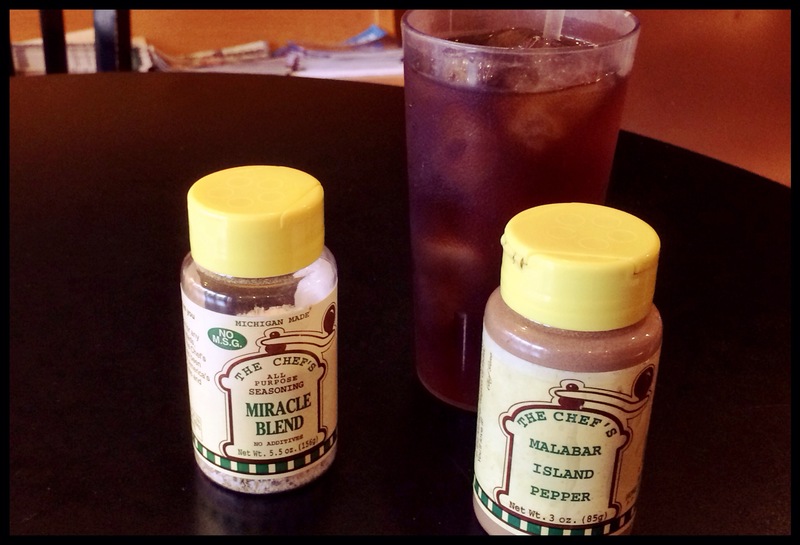 The cashier happily informed me that they did not carry any diet sodas, because it was unnatural, but suggested I try their homemade iced tea, which was crisp and refreshing. 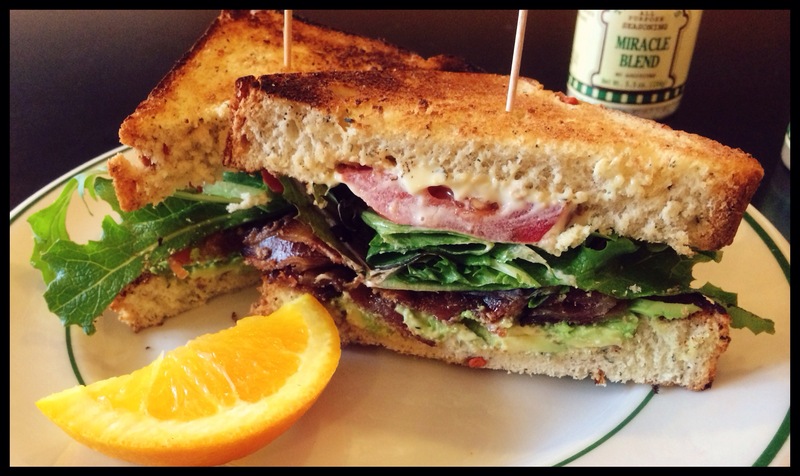 I ordered a bacon/lettuce/tomato/avocado sandwich on their veggie bread, which turned out to be delicious.